environmental ethics. Once introduced, these topics are developed further through readings by philosophers including Aristotle, Jane English, Thomas E. Hill, Jr., Jean-Paul Sartre, and Bernard Williams. This unique anthology emphasizes the personal dimension of ethics, which is often ignored or minimized in ethics texts. The second edition offers several new selections including work by Maya Angelou, Kevin Bales, John Benson, Susan Glaspell, C. S. Lewis, R. M. MacIver, Plato, Plutarch, James Rachels, Ayn Rand, Voltaire, and Kurt Vonnegut. It also adds a new chapter on justice and the threat of terrorism featuring material from the Old Testament--in which the equivalent of a jihad occurs--followed by philosophical analyses by Martha Nussbaum and Louis P. Pojman. 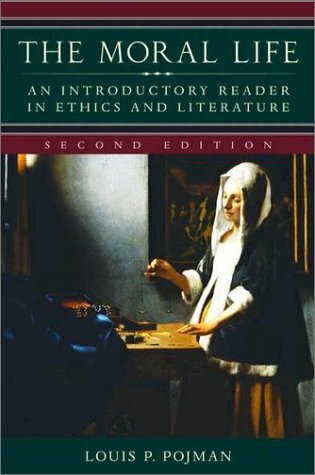 Featuring expanded part and chapter introductions as well as biographical sketches, abstracts, and study questions for each reading selection, The Moral Life, 2/e, is ideal for introductory ethics courses. It also provides an engaging gateway into personal and social ethics for the general reader. Ethics and Egoism: Why Should We Be Moral?